Enjoy the moments together. 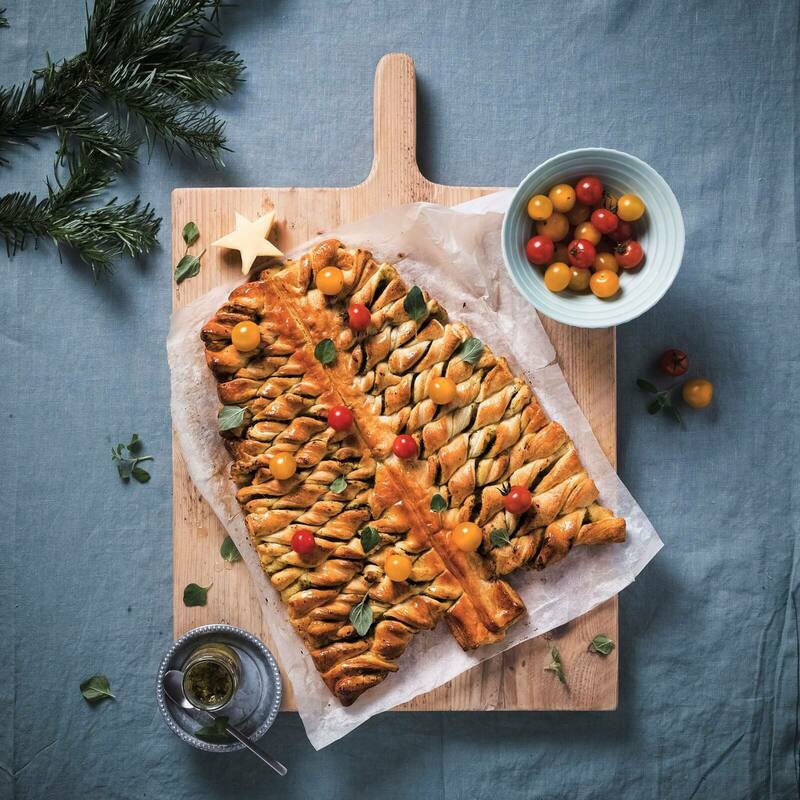 Gather around the table and enjoy this delicious savoury christmastree. Merry Christmas! Spread the dough generously with the pesto. Garnish with fresh basil and cherry tomatoes.